Toe Dancer. Milkweed. River House. American Dog. These are some of the names of sculptures you will see coming to downtown Concord this summer as part of the new public art initiative. 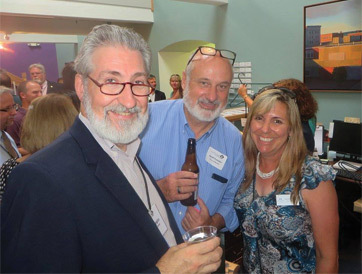 Thanks to a partnership between the Chamber’s Creative Concord committee and the City of Concord, a delightful variety of art pieces will be leased to the City for a year. The sculptors are New England artists who submitted their work in response to an invitation from Creative Concord committee member Pam Tarbell, owner of Mill Brook Gallery & Sculpture Garden (if you have not been to her outdoor/indoor gallery at 236 Hopkinton Road in Concord, treat yourself to a visit soon). Up to eight new sculptures will be installed over the course of the summer. All the artwork is for sale. 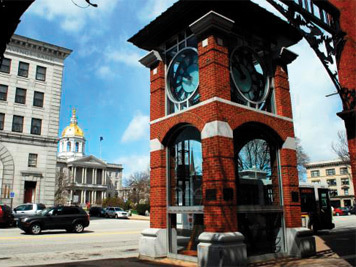 If a piece is purchased, the City will receive a 30% commission to be placed into a dedicated fund towards the purchase of permanent public art in Concord. If this pilot program is successful, we could be seeing the installation of public art on the Heights and other neighborhoods in the City. And while we are on the subject of downtown, you won’t want to miss our June 15 Breakfast Forum. We’re highlighting four new downtown projects: Hotel Concord, the new micro-living apartments planned for Pleasant Street, redevelopment of the Concord Theatre and redevelopment of the NH Employment Security Building on South Main Street. All of these projects have either broken ground or are soon to do so. Hear directly from the developers and City staff about how these exciting new additions will continue to transform downtown Concord. Call (603) 224-2508 to reserve a seat or go to ConcordNHChamber.com . See you June 15 at 7:30 a.m. at the Grappone Conference Center!